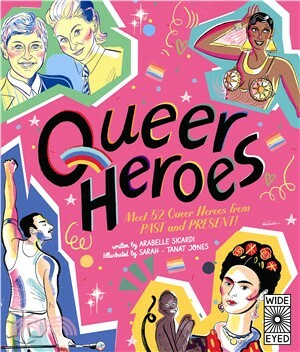 This beautiful, bold book celebrates the achievements of LGBT people through history and from around the world. It features full-colour portraits of a diverse selection of 52 inspirational role models accompanied by short biographies that focus on their incredible successes, from Freddie Mercury's contribution to music to Leonardo da Vinci's Mona Lisa. Published to celebrate the 50th anniversary of the Stonewall Uprising, this title will show children that anything is possible.